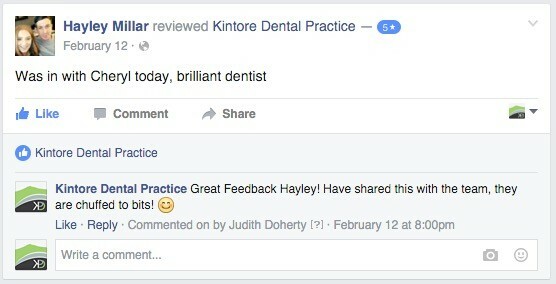 At Kintore Dental Practice, we are a fully integrated 3D digital practice. We offer cutting edge technology that delivers precision at every stage of your treatment. 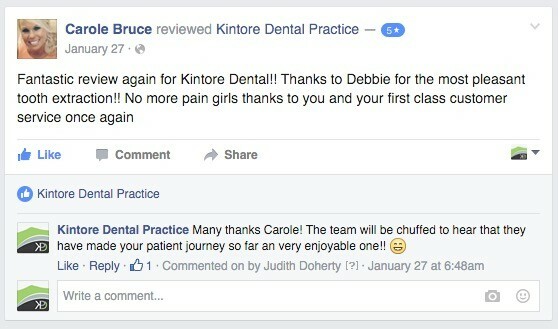 Amongst the many benefits that intra-oral scanning offers, the most obvious would be the fact that patients no longer need impressions when undertaking treatments such as Dental Implants, Orthodontics/ Braces, Crown and Bridge and Denture work. 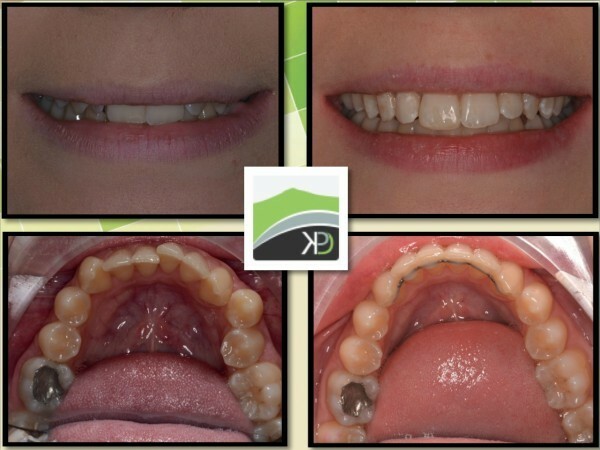 The introduction of a fully digital workflow within our practice means that production times for treatments such as crowns, bridges, orthodontic aligners and dentures are significantly reduced and the accuracy of fit is also greatly improved. 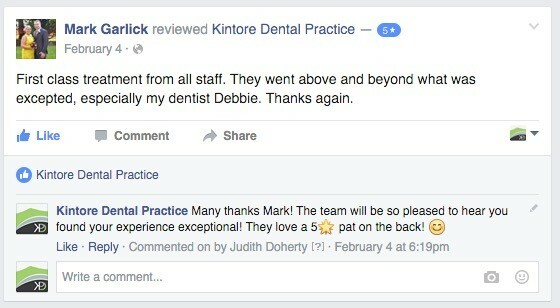 Ask your dentist about Trios Treatments available to you next time you are in! 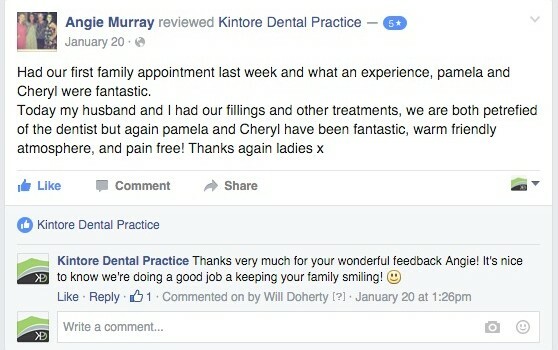 At Kintore Dental Practice our aim is to provide the very best dental care for you and your family. 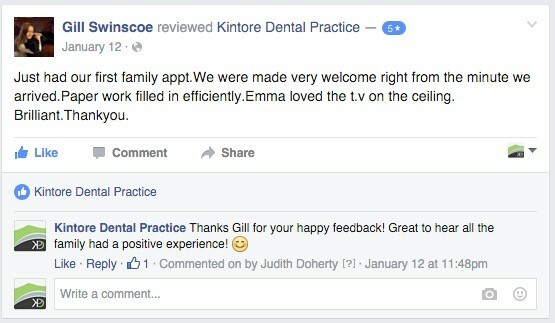 All of our Kintore dentists trained in Scotland and have been working in the area for several years. Our purpose built facility is state of the art. It boasts 3 beautifully designed, modern, spacious and fully equipped dental treatment rooms. It has been designed with patient comfort and patient centred care in mind at every stage. 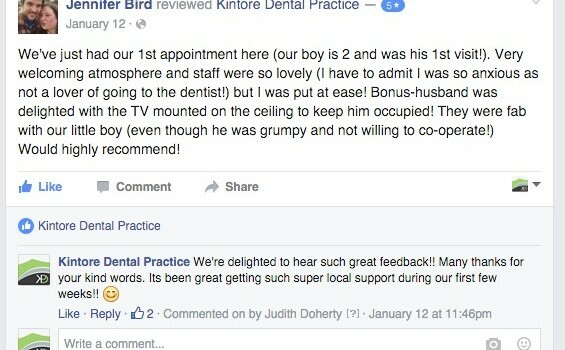 Each dental treatment room is complete with ceiling mounted flat screen televisions. We are a disabled access compliant dental practice with no steps and full wheel chair access to both our dental treatment rooms. Located in a prime position in Kintore we benefit from excellent transport links and also offer plentiful onsite parking. As well as the full range of NHS dental services, our friendly and professional dentists can also provide a number of other cutting edge dental treatments. 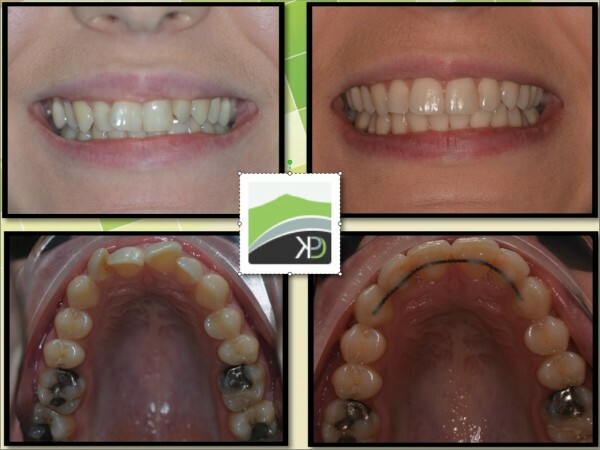 These include Six Month Smiles, Zoom Tooth Whitening and Straumann Dental Implants. 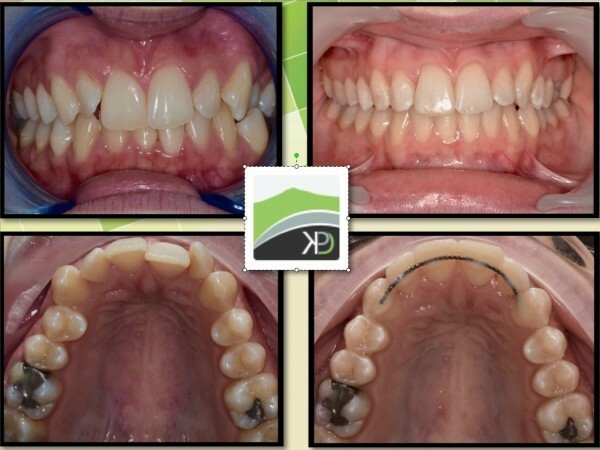 All of these treatment can be paid for with genuine 0% Interest Free Finance over 6, 10 or 12 Month Periods. 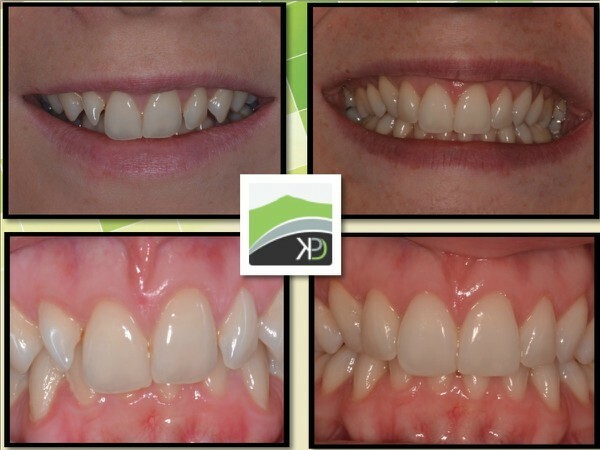 KDP’s award winning team can also offer patients a full range of cosmetic dental treatments including Veneers, Crowns and Bridges, White Fillings and Smile Makeovers. Dental Hygienist appointments are also available. 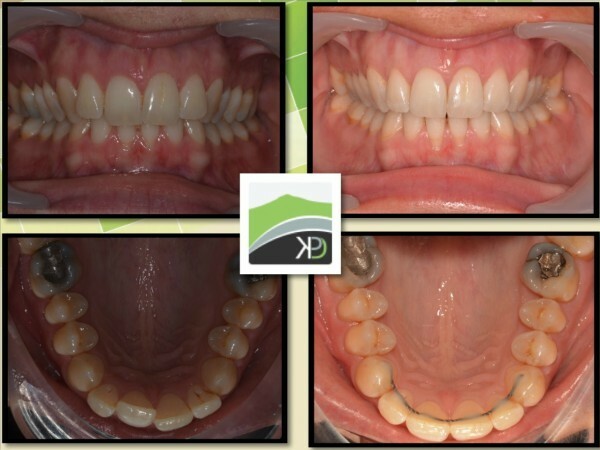 It is our mission to abide by a preventative dental philosophy. 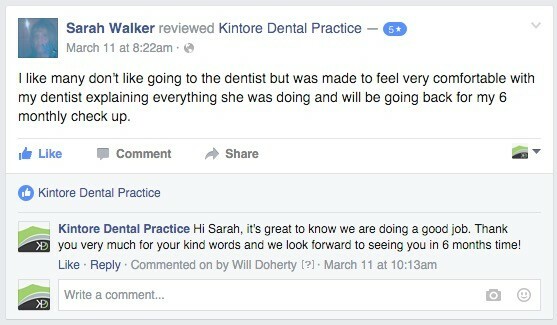 We encourage our patients and their families to regularly attend the dentist every six months. This helps prevent the need for large amounts invasive dental treatments. We know our patients are very busy. 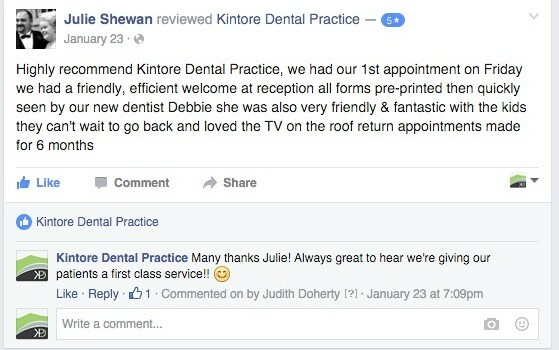 To make life easier Kintore Dental Practice offers free email, text message and phone call appointment reminders. We also offer online booking for routine examinations allowing patients to book appointments from the comfort of their own home at a time that suits them best. Furthermore we offer early morning and late evening appointments to help fit in with busy schedules. 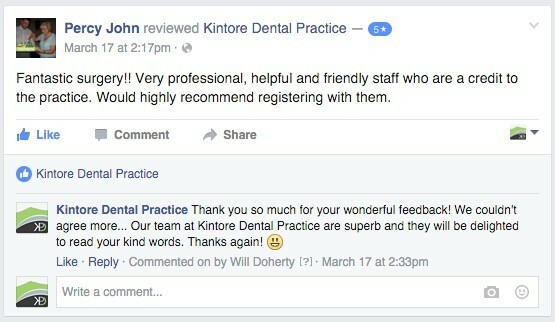 Kintore Dental Practice takes pride in dealing with a patient’s dental emergency as quickly and efficiently as possible. We prioritise dental emergencies for our registered patients, offering quick appointments (often the same day) as well as offering a full out of hours emergency dental service. 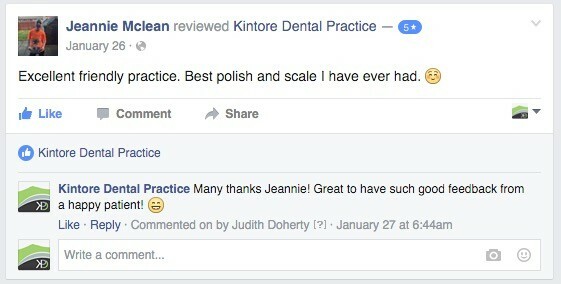 Patients can be assured that Kintore Dental Practice aims to achieve the highest standards in every aspect. We are certified as a BDA Good Practice. 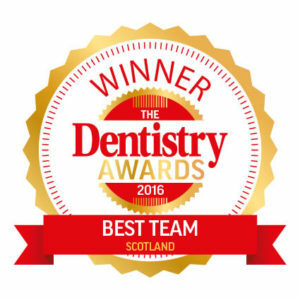 This achievement requires a complete commitment to providing patients with the highest level of service.​ ​To gain BDA Good Practice certification Kintore Dental Practice has undertaken extensive examination and assessment by our professional body and has been found to meet an exacting set of regulatory and compliance standards. Decontamination, instrument sterilisation, cross infection control and patient safety are our highest priorities. With these key principles in mind, Inverurie Dental Practice has invested heavily in a state of the art local decontamination unit, digital xray equipment and top of the range dental chairs, equipment and materials. 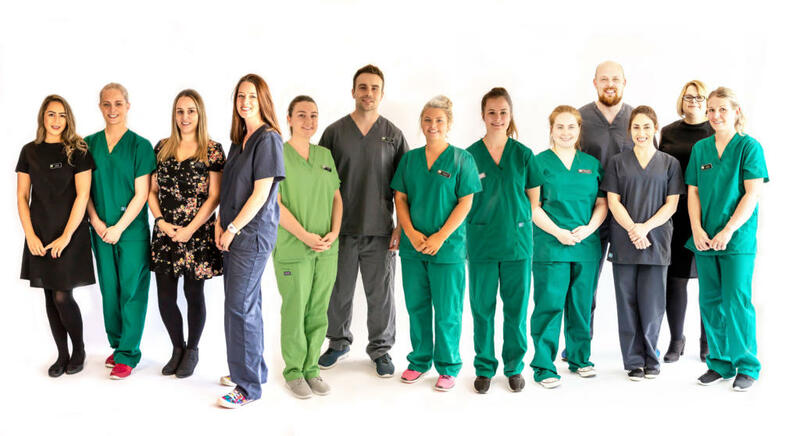 As an NHS patient at Inverurie Dental Practice you can relax in comfortable surroundings, safe in the knowledge that our experienced team of dentists, dental nurses and receptionists strive to provide you with a pleasant and pain free journey from the start to the finish of your dental treatment.